Cypriot carrier Charlie Airlines, co-founded by S7 Group of Russia, has received its air operator’s certificate. 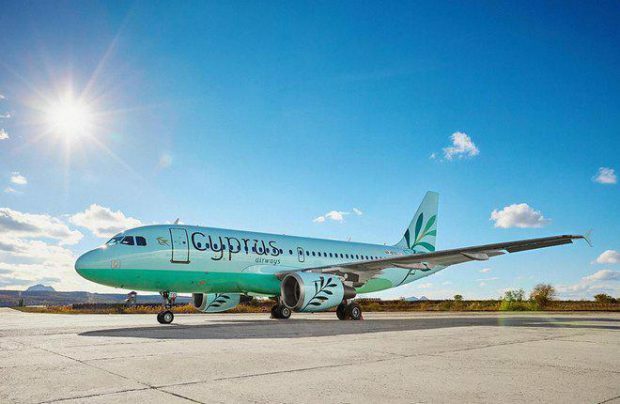 The airline will operate under the brand name of Cyprus Airways, the country’s defunct national carrier. An S7 Group spokesperson told Russian Aviation Insider the newly established operator expects to receive its commercial license shortly, after which ticket sales will open. Earlier plans called for the sales to start before the end of 2016. The airline’s fleet currently consists of a single Airbus A319 narrowbody, which was transferred from S7 Airlines at the end of 2016. The aircraft will be based at Larnaca International Airport. Cyprus Airways expects to take delivery of a second Airbus А319 from S7 Airlines, which will in turn replace the two airliners with larger-capacity A321s. No further fleet expansion plans have been disclosed as yet. In mid-2016, S7 Airlines co-owner Vladislav Filev announced plans to establish air services between Cyprus and Russia, destinations elsewhere in continental Europe, and the UK. Intentions to launch flights from Larnaca to Moscow’s Domodedovo airport were voiced at the time, but no agreements have materialized yet. Charlie Airlines Ltd. was registered in January 2016. A 40% stake is held by S7 Group; the remaining 60% belongs to Charlie Holdings Ltd., which was founded around the same time with Filev as the sole owner. The plan is for the Russian co-owners to limit their combined stock to 40% eventually, seeing as the EU legislation restricts non-resident capital in local operators to 49%. The remaining stock will be shared among undisclosed European partners. Cyprus Airways’ erstwhile namesake flag carrier went out of business in January 2015, effectively leaving the country without a national airline for one year. Following that, at least two Cypriot-registered operators became operational: Tus Airways, owned by US and Cypriot citizens, and Cobalt Air, set up in conjunction with Andrew Pine who had previously co-managed Russia’s failed low-cost attempt Avianova. Cobalt positions itself as the new national carrier of Cyprus.